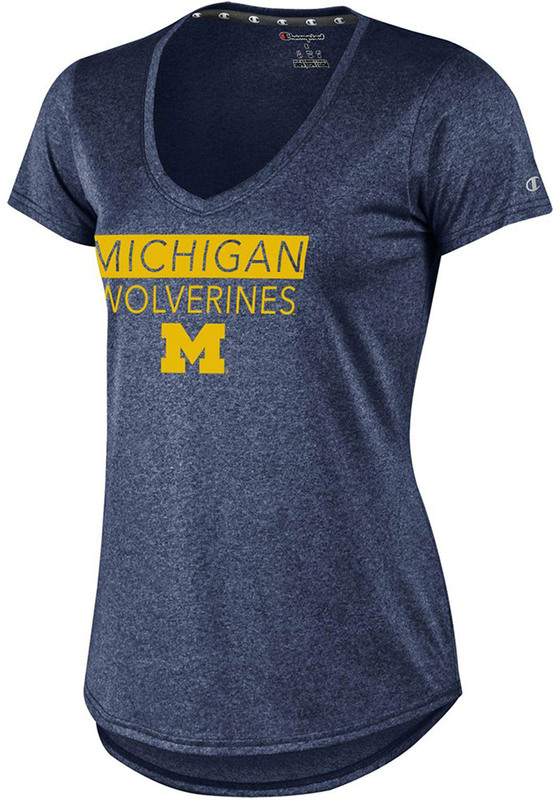 Let everyone know who you root for in this Michigan Wolverines Navy Blue Epic Short Sleeve T-Shirt! This Michigan Short Sleeve Tee features a self V collar, body skimming fit, with screen print team graphic on center front. Go Michigan! I love this top! It is extremely comfortable and breathable! This shirt did not shrink or do anything weird after washing like other shirts have in the past. I like having this women's performance top. I wish they would get more, men's are just too baggy sometimes. I also love the slight heathered look that this shirt has: I can style it up to make it a little more chic or I can wear it very casually!